The Capital of Spain’s Catalonia region and a city that boasts of being Europe’s most vibrant and active city, welcome to Barcelona. Barcelona is surely finding its way onto peoples itineraries and fast becoming one of the most popular cities to visit in the world. A city that is perfect for a long weekend or one where you can spend a week and enjoy it’s architecture, great Mediterranean weather, vibrant food scene, beautiful beaches, and one of the best nightlife in Europe. With a large influx of travellers from around the world Barcelona is celebrating its role as the capital of Catalonia and a city that is cosmopolitan and filled with an International vibe. Catalan is the main language spoken in Barcelona, but Spanish and English are also spoken widely. When it comes to weather Barcelona is an amazing city with long hot spells of Mediterranean summer and a relatively mild winter. The best time to visit Barcelona is summer but it can get scorching at its peak. For me the best time would be late spring and early fall which brings great weather and fewer crowds and enjoy and average of 10 hours of sunshine a day. Barcelona has good weather all year round and you can spend a lot of time outdoors in the city’s many parks, squares, beaches, and outdoor cafes. Barcelona’s El Prat International Airport is well connected to the rest of the world and is the second largest one in the Country after Madrid. Just a short flight from London makes it a very popular holiday destination for the British and the rest of Europe. We went with British Airways which has quite a few flights in a day from all London Airports and you can get some great bargains if you avoid the holiday season. Barcelona International Airport is the nearest airport to city centre and is just 13 km and a 30 minute drive away. There is no flat fee for this taxi ride and a trip to the city centre can range between 35€ and 40€. Taxi: A good way to get to the city from the airport and one of the cheapest fares that you can avail in Europe. Barcelona’s taxis are easily identified by their yellow and black exterior and a safe and quick way to travel in the city. Metro: A modern and well-connected underground system with eight metro lines that can get you pretty much everywhere in the city. Walking + Biking: Once within the city Barcelona is very bike and walking friendly city so make the most of these. Barcelona is a large city well spread between a few districts and neighbourhoods which stand out for their own special reasons. Eixample: One of the most popular and home to some of the most prominent landmarks of the city such as Gaudí’s Casa Batlló, Casa Mila and Sagrada Familia. It is also synonymous for its shopping and tons of bars and restaurants and a great place for nightlife. Ciutat Vella: The oldest part of the city and popularly known as the Also known as the Gothic Quarter at the heart of Barcelona. This is the oldest part of the city and also incorporates the ever so popular Las Ramblas. Gracia: With the growth of the city this is a popular suburb with a significant student population and home to the beautiful architecture of Gaudi’s Park Guell. L’Eixample: Just outside the main city centre this is the more modern part of Barcelona and home to many of the best bars and clubs in the city. The heartbeat of the city is a pedestrian-only street and one of the most popular places to visit when in Barcelona. Filled with tourists the Ramblas is one of the most common places to get pick-pocketed but as with any big city, you need to be careful and follow basic travel safety policy of being aware. The boulevard which cuts through the heart of the city and most popular for shopping, enjoy an evening meal or simply enjoying a glass of sangria and watching street performers. One of the most vibrant parts of the city and a place you simply can’t miss if visiting this city. This is a good place to spend to spend you evening and take a walk looking into shops or simply doing some people watching. The Gothic Quarter is another interesting part of this city and is situated in the centre of the old city of Barcelona stretching from Las Ramblas to Via Laietana. One of the most visited, and oldest, neighbourhoods of Barcelona and also contains many attractions, including the Cathedral of Barcelona. There is some great architecture to be marvelled at here and some of the buildings date back to Medieval times. It is the perfect place t walk around and loose yourself in the narrow streets where you feel you are transported back to the medieval times. There are some great shops around this area selling anything from jewellery to souvenirs. So whether you want to just do some window shopping or enjoy a glass of sangria in one of the many bars dotted around or just stroll down and enjoy the medieval architecture the Gothic Quarter is a must visit place when in Barcelona. Synonymous with Barcelona you can find the signature architecture created by the master architect Antoni Gaudí scattered across the city. I have listed below some of the most famous ones so you don’t miss these on your trip to Barcelona. La Sagrada Família – This is by far the most iconic and busiest one and has been under construction since 1882 and expected to be completed in 2030. The construction of the church started in the late 19th century and was put on hold for sometime in 1926 at the death of the master architect Gaudi but restarted after a small halt. Be prepared for long queues as it is the most popular site in Barcelona. You can either buy tickets in advance or join a guided tour to save time. The interiors of the church is as inspirational as the exterior so try and go inside its totally worth the wait. Casa Batlló – This is the second most popular work of Gaudi and is a great piece of work where the roof of Casa resembles the back of a dragon. The exterior of the building has vibrant mosaic displays made out of broken ceramic tiles. This is a typical style that Gaudi represented and is synonymous with most of his work. The windows of the Casa are adorned by bone like structures and due to this aspect is also called The House of Bones. Casa Milà – Just a few blocks from Casa Batlló is another master piece by Gaudi and is also known as La Pedrera or the stone quarry. This was the last private residence designed by architect Antoni Gaudí and was built between 1906 and 1912. This building benefits from several structural innovations which include a self-supporting stone facade, a free-plan floor, underground garage and a spectacular terrace on the roof which is besutiful. Casa Mila was listed as a UNESCO World Heritage Site in 1984. Park Güell – This is a short trip from the heart of the city but one which is surely worth the visit. You can take public transportation from the city centre followed by a 15 minute walk to one of the park’s many entrances. It is always busy with tourists and locals staring at the gingerbread gatehouses and the giant ceramic lizard on the stairs that lead up the hillside. Just below the hill sits a reservoir for the park’s fountains. Park Güell is one of the most important sights in Barcelona where you can wander through the gardens and marvel at the unusual and colourful sculptures and mosaics throughout the park. Barcelona is a HUGE City and it is tough to cover everything it has to offer in a short trip. However one way to cover a lot of ground is to go on a guided and narrative city bus tour. Like most other famous cities around the world Barcelona operates the Barcelona Hop-On Hop-Off Tour Bus which just makes life easy if you have limited time and want to get the most of the city. The beautiful 14th century cathedral is located in the heart of the city in Gothic Quarter and one you must visit on your trip to the city. This was officially named as the Cathedral of the Holy Cross and Saint Eulalia, but is now more popularly known as the Barcelona Cathedral. The original basilica solemnly housed the relics of Saint Eulalia in one of its chapels, hidden to avoid profanation by the Arab invaders. In 877 they were miraculously discovered at the temple of Santa María de les Arenes (or Santa María del Mar). This is a functioning Roman Catholic cathedral which still acts as a place of worship and celebration, the cathedral is also a major attraction and a symbol of Barcelona’s status as an important Spanish City. One of the peculiarities of this place is the presence of precisely 13 geese. The Geese represent the fact that Saint Eulalia is believed to have been just 13 when she died. The geese can often be seen bathing in the Font de les Oques or ‘Well of the Geese’ adorned with a statue of Saint George the patron saint of Catalonia slaying the dragon. It’s tradition to light a small candle and say a prayer at the cathedral. The magic fountain is a spectacular display of hundreds of fountains that are synchronised with lights and music is a very popular destination for locals and tourists. With over 3000 workers commissioned to work on this project and one which took less than a year to complete the magic fountain is truly magical and a “must see” when you come to Barcelona. This giant fountain operates on 3620 water jets circulating 2600 liters of water every second and add some lights and music to this and what you get is a light show of dancing fountains that will leave you speechless. You get to watch over 7 billion light and water combinations dancing on some of the most popular soundtracks from around the world and Spanish classical music.In all the show lasts for about 20 minutes and yes it’s completely free and a great way to spend an evening with the entire family. Another great place to visit for some natural beauty and some great views of Barcelona and home to Barcelona’s Olympic complex. At the top of the Montjuïc hill lies some lush green spaces filled with flowers, trees, and fountains. There are several parks with varying themes that surround Barcelona’s Olympic complex. A great way to enjoy this place is to find a bench and relax away from the hustle and bustle of city. If you want to have a picnic this is the perfect place where you carry a packed lunch and enjoy the fantastic view of Barcelona. Several of the parks are open round the clock, but the main attractions open at 10 am and close at dusk. You can also access this by bus or by the scenic cable car which offers outstanding views over the city and its port. Barcelona is home to a number of excellent museums, but the most popular one is the Picasso Museum. It is believed to house one of the most extensive collections of Picasso works from his earlier years. Another famous museum is the Fundació Joan Miró, which houses a collection of artwork by Joan Miró and many other contemporary artists. If you want to learn more about the history of Barcelona, head to the Barcelona History Museum, which features great Roman ruins. Many of the famous museums are free on Sundays from 3-8pm. For any football fanatic a visit to the famous Camp Nou is a must when visiting the city. Home stadium of FC Barcelona since 1957 is the largest stadium in Spain and Europe, and the third largest football stadium in the world. With the stadium’s 100,000 capacity it is a Mecca for football fans from around the world and you can find out all about the stadium and its Museum on a Barcelona FC Stadium and Museum Tour. It is one of the more popular tours in Barcelona. If you are lucky enough to be there on a match day the you can try your luck for tickets at www.fcbarcelona.com where you can find season ticket holders selling their tickets occasionally. Barcelona is rated as one of the best beach cities in the world and the beach plays a huge role in the city’s identity. It is interesting to know that the beaches were overrun by industry and pollution until the early 90’s when they were cleaned up and renovated just before the 1992 Olympics. It is now considered to have one of the best urban beaches in the world. Barcelona has a number of beaches, but the most popular is the Platja Barcelona at Vila Olimpica. Home of the 1992 Olympics where both locals and tourists can be found escaping the hustle of the city. Enjoy some sun and sand but be mindful as this place is a great hunting ground for pickpockets. Barcelona boasts of a very vibrant nightlife and one of the main reasons people flock to this city. This is truely a 24/7 city where the days are busy with day to day life and tourists flocking the streets but the nights equally busy and the nightlife doesn’t get started until about 10 pm. You will find restaurants busy with people eating in well after midnight and the bars and clubs bustling with life until the wee hours of the morning. There is always something going on and Barcelona is truly a living city and you’ll constantly see people outside in the streets, cafes bars and clubs enjoying nightlife.A good place to sample the nightlife is a El Born which is a trendy and artistic in neighbourhood filled with tapas bars, restaurants, cafes, and a lot of Barcelona’s famous nightlife. Also known as the dream destination for foodies Spain has a lot to offer when it comes to food. Barcelona being the capital and one of the most visited cities by tourists from around the word has more than just Spanish cuisine on its plate. There are a lot of restaurants cafes and bars serving cuisines from across the globe but what you come here for is Tapas and Paella. Just something to keep in mind that many restaurants close around 2-4pm and don’t open back up until 8 pm. Tapas – Spanish cuisines is famous for their tapas which is basically mini portions of single dishes that are meant to be snacked on in bars/restaurants but you can easily make a meal out of sampling multiple kinds of tapas. In certain parts of Spain like Madrid some places offer Tapas free as long as you’re buying alcohol, but you won’t find this in Barcelona. Paella – A trip to Spain would be incomplete without tasting the famous paella. The iconic rice and seafood dish originating from Valencia and was originally made with beans and meat instead of fish a shellfish. For some of the best Spanish food you need to visit the historic fishing village of Barceloneta. Nestled between the open sea on the one side and the Marina Port Vell on the other Barceloneta is famous for its seafood restaurants and classic tapas bars, many of which have stood here for decades. Cava, a sparkling wine like Champagne and the official drink of Barcelona. Sangria is actually a specialty of southern Spain and it’s only served because of the tourist demand in Barcelona. Take a walking tour and explore the city. Walk one of the most famous pedestrian roads in the world The Ramblas. Get mesmerised by the magic fountain show of Montjuïc’s. Shop and snack at La Boquería Barcelona’s most famous produce market. Wander the gardens of Güell Park the city’s grandest park. Pay your respect at the La Sagrada Familia, Gaudi’s extraordinary work dedicated to the Holy Family. Set foot on the sandy beaches of Barcelona and enjoy the sun. Envy the works of the Master at Casa Batlló and Casa Milà. Take a ride on the cities Metro with free wifi to help you plan your next destination. Sample a Tapas @ Dos Pebrots, with it’s head chef coming from the El Bulli. Get a great Paella at Barceloneta. Search for a hidden treasure at Encants market, Europes oldest markets for second-hand collectables. Meet the creatures of the deep at the LaAquariium Barcelona. Discover Picasso’s early works at The Museu Picasso. Walk back in time in Barcelona’s labyrinthine Gothic Quarter. Cheer for Baraca at Camp Nou home to FC Barcelona’s and Leo Messi’s stomping ground. Feed your sweet tooth at the Museu de la Xocolata. Dance mad at one of the many music festivals in the summer. Take the kids to Parc de la Ciutadella Barcelona’s largest park and zoo. Climb the Hilltop @ Mountjuic and enjoy the views of Barcelona. Sip on a glass of Cava and watch the world go by on the Ramblas. Previous articleChristmas in New York. Amar what a sensational post. I love that descent into Barca pic; looks so tropical, the shade of the water. Great job! Awesome photos, thanks for sharing! Loved your detailed post! Amazing photos! Barcelona is on my bucket list. I would love to visit in the fall, because I’m not a huge fan of the heat. That Olympic Complex looks gorgeous! Thank you for sharing. I’ll definitely return to it when I plan my first trip there! Your post reminded my trip to Barcelona. Did you have a chance to visit la boqueria market? This place is next to Las Ramblas ! It’s a great place and thanks for stopping by. Barcelona cathedral looks so grand. Love the way you give a picturesque description of every place you visit. Enjoy and wait for your posts Amar. Your post brought back my amazing memories of our barcelona trip this spring. Its indeed such a lively city as you said, although we missed park guell and some museums because of the public holidays and rains on 2 of the 3 days we had for sightseeing. I loved the la rambla and the beautiful beaches. A vibrant and city full of life. I’m planning my 2019 Euro trips and Barcelona is definitely on the list! Thank you so much for sharing all of the beautiful elements of this city, there’s so much ground to cover and you’ve condensed it all so beautifully! I’m particularly intrigued by Gaudi’s work and can’t wait to take in those buildings in person! Reading your post about Barcelona makes me realise that I haven’t visit half of the beautiful places when I was there 6 years ago. You post also reminds me that I should revisit Barcelona! Imagine, I haven’t seen one of Gaudi’s amazing work yet! A trip to Barcelona without gaudi is incomplete. But at least you know the vibe. Wow! Such amazing colors out there. Barcelona is very much in my list and this post just got me itching to get there faster. And I totally agree with you when you say that shoulder season is probably the best time to see the city. The Gothic quarters are a special attraction for me. I would love to see those medieval buildings. It’s a great city to visit. I loved Barcelona and you are right about the weather there. I found also convinient the transportation from the airport, I took metro and it worked well. I really liked the gothic quarter description, as I have learn something I didnt’t know about this city. Simply love this post. You have included everything, that anyone could be looking for. Barcelona as a city has been on my radar, but never realised it was so beautiful, and there were so many things to do. Indeed a beautiful city and lots to see. I enjoyed reading your post about one of my favorite cities- Barcelona. I read a quote once that remembers this city perfectly even though I don’t remember who wrote it. It goes something like this: If Barcelona was a woman, she would be the most beautiful woman in the room. Loud, but charming. Elegant, but wild. She would seduce you with her charm, then she would steal your wallet. But you would forgive her; in the end you always forgive her. Great words and perfect for this city. Thanks. I love Barcelona, one of my favourite cities in Europe so far. As you say, it’s so vibrant, colourful and very popular for good reason. We mostly used the metro and buses to get around, but great suggestion on biking! I think some districts have changed a lot since I last went, so good to read your options on where to stay, I don’t think we considered Gracia when we were there. Your photos of all the best sites really bring it back to me. Especially the food, we loved eating in Barcelona. Just loved the pictures here and Barcelona comes across as really colorful vibrant destination. I would take the tip to travel in late spring or early fall as prefer to explore places when they are not very crowded! I think I will love it here for the walking and biking culture. 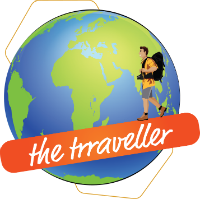 Have enjoyed these to be best ways to explore and stay fit during travels. Not seen anything like Casa Milà and Casa Batlló and they really stand out for me. Happy to have found this amazing guide and think all the things mentioned in “Must Do’s” must be done when in Barcelona! Thanks for the kind words If you ever need any further information please let me know. The first time I heard about Barcelona during my growing up years was during the Barcelona olympics.Since then I have nurtured a strong desire to visit this city. Your post takes me on a virtual tour of Barcelona and I was literally following you as you hopped from one place to another and Las Ramblas seems like a sure place to walk and wade through the crowds . the gothic quarter looks interesting and the Barcelona cathedral looks splendid. Such an artistic city indeed! Barcelona is such a colourful vibrant city and you’ve really showcased it so well here. The architecture, different quarters and not to mention the great food, such a great city. There’s a couple of things on here I haven’t done, so i’ll have to save your post for next time I visit. Spain is my favorite country in my all travel and so is Barcelona. I truly loved the vibrant spirit of La Ramlas as the streets are full of colors, people and happy faces. Barcelona is really huge and have many attractions with wide range of interests from natural, historical, artistic, religious and sports loving too. I too loved Spanish dishes and it is good that restaurants in Barcelona customized me with vegetarian Paella which I admire a lot for their loving hospitality. Your photos and detailed guide on Barcelona is bringing my memories back and also it is very useful for first timers. Thanks for sharing all the details. I have been to Barcelona countless times. I just love it. This is such a complete and informative post about this beautiful city of Spain! A fantastic and informative post (as always). I have also wanted to go to Spain but haven’t made it there, I will definitely be brushing up on what to do when I finally plan it using this post! You must. You will love it. I agree that the best time to visit Barcelona is probably in spring or fall. I went in the summer, and it was very hot and crowded. One other neighborhood I’d add to your list is La Ribera/El Born. It’s a super hip neighborhood and was my favorite in Barcelona! I have heard so much about Barcelona and it’s been on my list to visit but I still haven’t got there yet! This post clearly shows so many reasons why this wonderful city is something I need to prioritise more where exploring Spain more broadly. Love the detail and photos you have shared here as it really paints such a wonderful image of what it must be like to experience this wonderful city. Also love the broad aspect and nature you captured of the area within that lovely shot you took at Montjuïc Hilltop Park – just fabulous! Thanks. It’s a beautiful city and so much to offer hope you can visit soon. The pictures are so amazing! Spain is my favorite country and I so want to visit Barcelona. Thanks for this highly informational post. I have bookmarked it for using it while I plan to visit Barcelona. Great pictures, did not know there is so much to see in and around Barcelona. Amazing!! Barcelona is one of the most popular cities that exist and I cannot believe I haven’t been there as yet! I would love to walk around in Las Ramblas, taking in the vibe or the Gothic Quarter to see the lovely architecture. Of course La Sagrada Familia is unmissable! Also, Gaudi’s buildings are fantastic! Thanks for listing the best ones to visit, makes it easy to plan a visit. What a comprehensive post- thank you! Barcelona is on our short travel bucket list and we hope to make it there very soon. Your fantastic photos and thorough descriptions will be so helpful in creating an itinerary. I especially love the diverse array of architecture around the city – hard lines and wavy lines, traditional and modern, neutral stone and colorful – amazing! This is an great summarized and informative blog on Barcelona. How nicely you have pointed out all the places to visit there. My favorite are always La Sagrada and all other Gaudi’s architectural places and Las Ramblas of course. I loved the vegan Paella in one of the restaurants there plus the nightlife is so good. Your blog helped me revisit the memories of Barcelona indeed. It’s a great city with a lot to see and do.